What is perhaps most remarkable about the Captain America film series to date, including Joss Whedon’s The Avengers, is how emphatic and engaging the filmmakers have been able to make the First Avenger. From a moral standpoint, Captain America is righteous to the point of being outdated. Unlike his more arsenal-driven companions, Captain America’s primary weapon is defence. Moreover, the fundamental concept of Captain America is patriotic in a way that has been antiquated for decades. Even the seminal motto of the virtuous Superman from the Richard Donner film, ‘Truth, Justice and The American Way”, has either been altered or disregarded entirely in more modern filmic interpretations of the character. And yet Chris Evans‘ Captain has emerged arguably the most relatable of the recent Marvel icons. This is in no small part thanks to Evans’ immediately likeable performance. The endearing actor manages to somehow project Captain America’s unwavering convictions with such confidence that rather than mock, the inclination is to cheer – no mean feat in a comic book film world filled with darker, more ambiguous characters like Batman and Iron Man. But the success of the character is also the recognition of Captain America’s humanity. True, Steve Rogers was genetically modified, but rather than the ability to harness lightning or the curse of turning into a destructive monster, Rogers is simply a man who can realize enormous potential in his body and mind. Crucially, he’s also a man who knows what it’s like to be weak. Ultimately, with all his force and agility, Captain America’s greatest strength is his humanity. Perhaps because the filmmakers have had their hand forced by the dated nature of the character, the two Captain America films have shown far greater ambition in story and style than the other Marvel films. Captain America: The First Avenger played out almost entirely during the Second World War, shedding the modern conveniences of Thor and Iron Man. Captain America: The Winter Soldier is the latest entry into the series and it stands as the most tonally compelling of the Marvel films so far. It also takes far greater risks with narrative than Iron Man, Thor and even The Avengers ever did, which should have an enormous effect on the ongoing Marvel universe. The inspiration that directors Joe and Anthony Russo have found in classic espionage films such as 3 Days of The Condor and The Parallax View is evident from the outset. The plot is murky, intentions even murkier and Captain America is discovering that even his own colleagues and confidents are capable of lying. 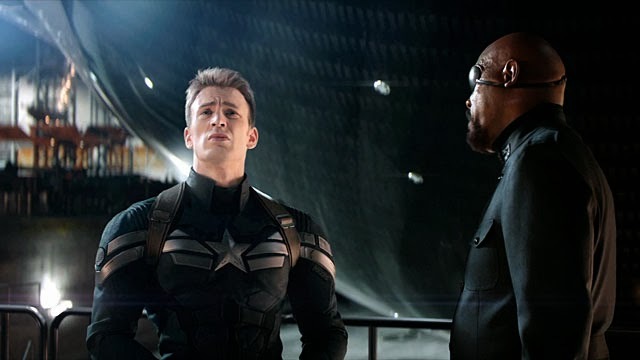 The seemingly impenetrable organisation SHIELD, led by Nick Fury (Samuel L. Jackson), is under attack from within, and the order behind Captain America’s new lifestyle is beginning to crumble. Behind the shadows is a mysterious figure known only as ‘The Winter Soldier’, who has apparently been operating as a Soviet assassin for an impossible number of years. Captain America has always been one of the more tragically lost figures of the recent onslaught of Marvel films. There’s a surprising amount of time and depth given to the Rogers’ struggle with losing the world he is most comfortable in. It seems an exceptionally obvious avenue to explore, but a lesser film might have neglected Rogers’ character development in favour of incessant action. There’s a real sense of isolation to Rogers, which lends weight to the dedication he feels toward to serving and defending his country. The action scenes are almost universally exceptional. The Russo brothers seem aware that acton is far more compelling when the audience can actually see what’s going on, something filmmakers appear to be forgetting more and more. The real dilemma with action in these comic book films is the shared understanding that the hero will never die. It’s an impossibility, for risk of completely ending a lucrative franchise. Unfortunately, this security takes an enormous amount of tension out of action scenes. The Russo brothers have dealt with this problem to a degree. One early scene in Captain America: The Winter Soldier involves Fury repelling a wave of assailants from the confines of his car. Without the involvement of Captain America, there’s a refreshing sense of uncertainty. The film flags during it’s final third, something that seems increasingly common in big-budget action films. There’s an erroneous concept amongst blockbuster filmmakers that bigger is better, that everything must be torn down to deliver a satisfying final act. Many of the film’s strengths are disregarded or poorly addressed during the last half hour. Mayhem is favoured in place of interaction, which feels inappropriate considering the intimate, relationship-focused nature of the everything that came before. 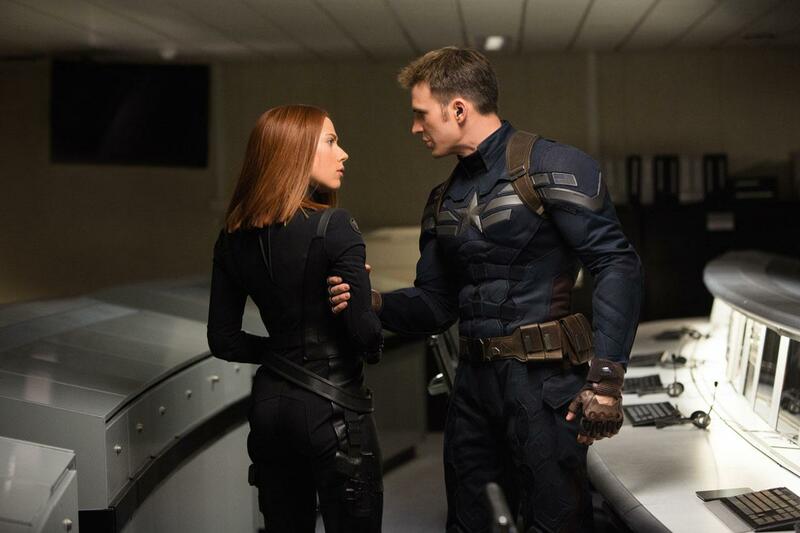 Captain America: The Winter Soldier stands out as being the most ambitious Marvel film to date, both tonally and narratively. The comic juggernaut isn’t known for its cinematic innovation, but Joe and Anthony Russo’s film is certainly a step in the right direction.